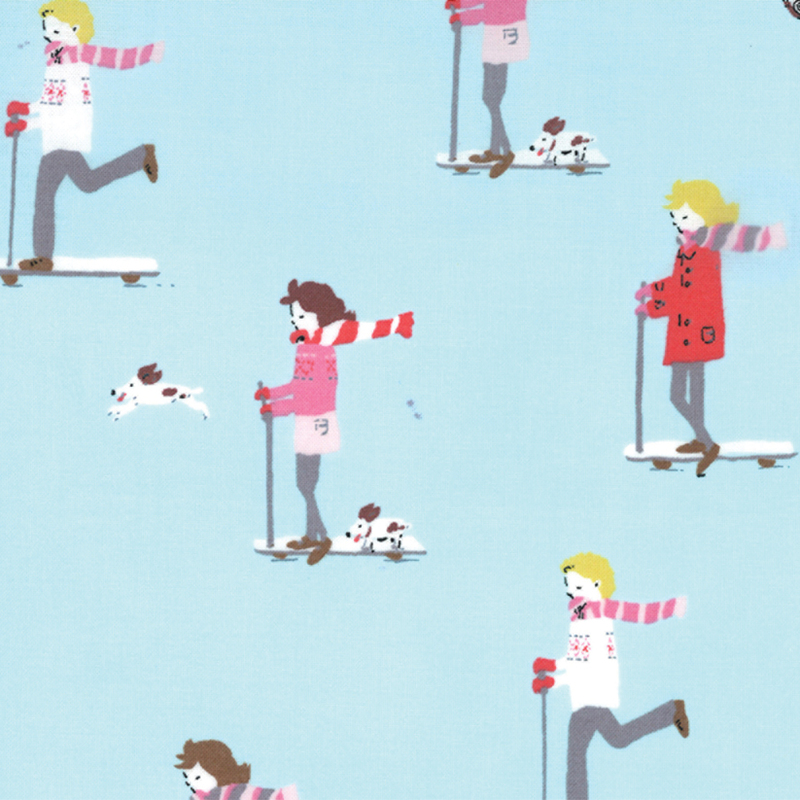 This is a fun bright line of contemporary prints that is available in stores in January. I was lucky enough to spend some time playing with these fabrics while planning a demo for the Leaves Galore Ruler. I have also included a pdf of this tutorial . Print it and add it to your demo book. To preview entire line, click here. Please contact your salesrep to order or order on-line 24/7. 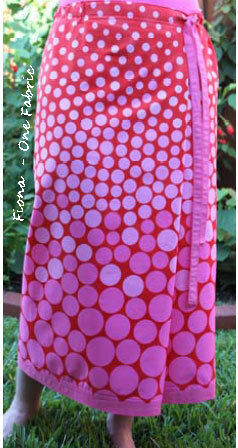 In Hoopla, there is a variegated dot print in 3 colorways that is very interesting. The dots seem to grow in size and change in color as they move from selvage to selvage. Interesting, but the first question is how do I use that? 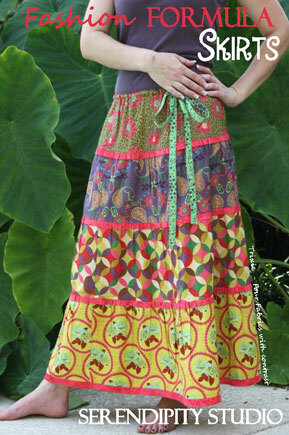 A collection of three simple to sew skirt designs with multiple variations. And there it was, One of the skirts was made featuring the Hoopla print. Fabric shown is stock # 3240-15. Aneela Hoey graduated from Winchester School of Art with a BA (Hons) degree in printed textile design, in 1994. She has worked in design studios in both London and New York as well as freelance. After getting married she took a break to raise her two daughters, now aged 7 and 10. 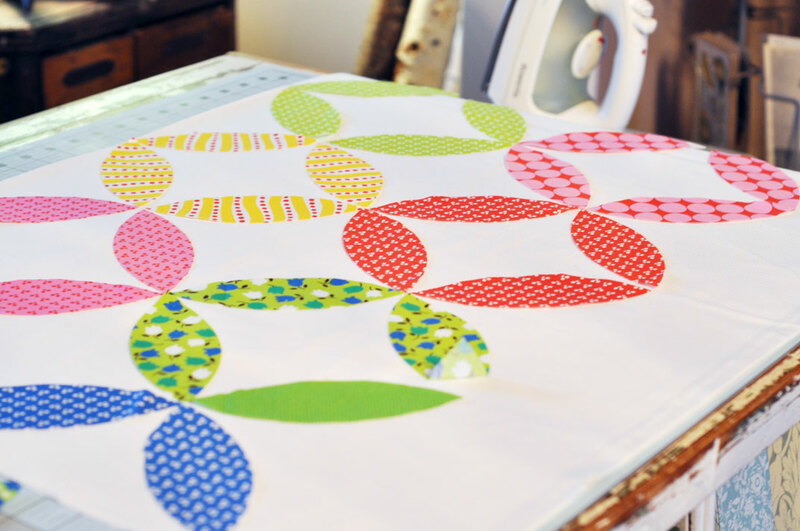 She found her back to textile design through her love of quilt making which led her to begin designing the kind of fabrics she wanted to use but couldn’t find. Aneela is also a keen embroiderer and produces her own embroidery patterns.Visit Aneela Hoey’s blog to get a glance at Sherbet Pips. Sherbet Pips is debuting at Fall Quilt Market. I hope you are taking advantage of the Monthly Quarterback Specials. Pass along the savings to your customers by having a Quarterback sale for all the wives that want to get out of the house during football. Have a tailgating party at your store. !